It’s that time of the year again. That time of the year where we stuff ourselves silly. 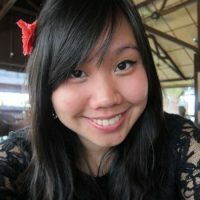 Oh wait no, there’s also Hari Raya, Chinese New Year, Deepavali, the various wedding dinners and the days where you just need two plates of nasi lemak. It’s good to be Malaysian, eh? 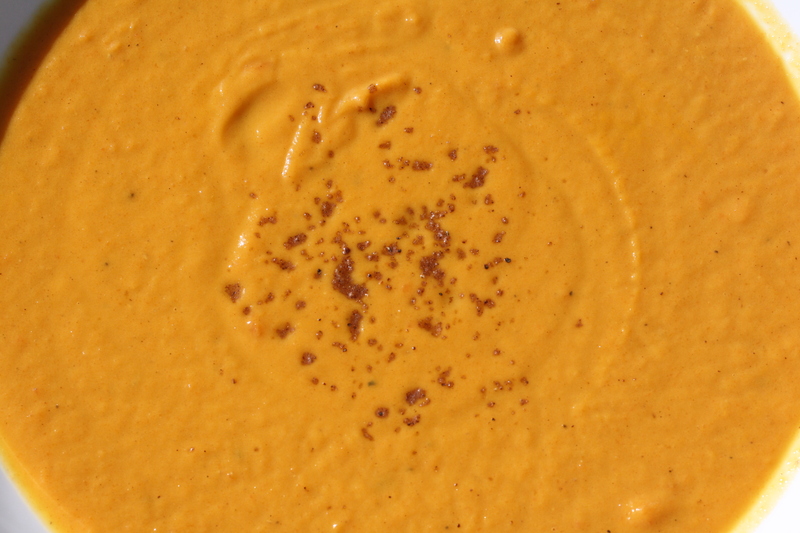 Nothing like creamy hot soup to usher in the holidays. It definitely has a Christmas flavour thanks to the spices used (ginger, nutmeg, clove), while the sweet potato and carrots keep it naturally sweet. Get the recipe here. 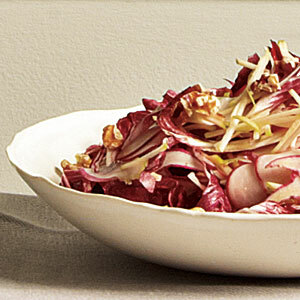 Featuring walnuts, radicchio, radishes, as well as granny smith apples, this crunchy, savoury and sweet salad is worthy of any occasion thanks to its blast of flavour and colour. It doesn’t hurt that it’s super easy to throw together. Get recipe here. Nothing says Christmas more than cranberries! This recipe is ready in 20 minutes but will be the star of any table thanks to the beautiful combination of sweet and sour flavours. 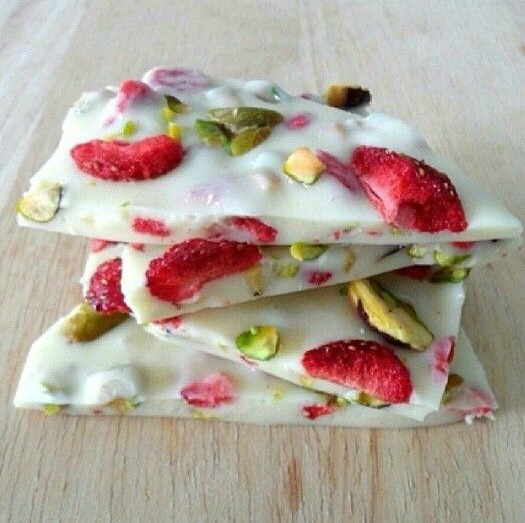 Reviewers love the recipe but we suggest cutting the sugar down to half (or use a substitute) for a healthier serve. Recipe here. This is a super simple recipe that requires zero cooking. 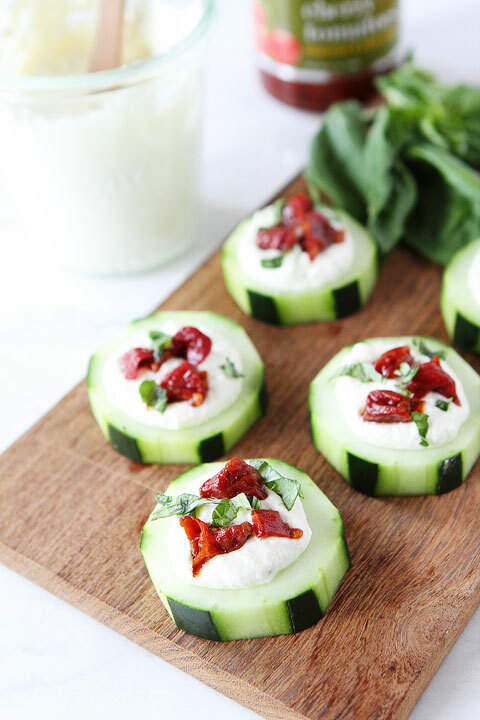 All you need is a food processor for the whipped feta, some sliced up cucumber, sun-dried tomatoes and chopped fresh basil. It’s so deceptively simple you’d think it was nothing special, until you pop one into your mouth, that is. Recipe here. This requires all of 10 minutes to prepare and will have you coming back for more. 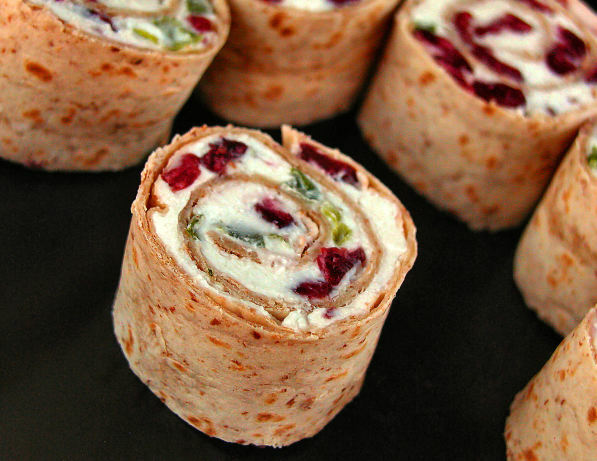 Use wholegrain tortilla wraps for a healthier pinwheel! Also, while holidays should be about indulgence, remember that dried cranberries are usually filled with sugar, so go easy on these. Alternatively, you could substitute the cranberries with chopped up sun-dried tomatoes! Recipe here. 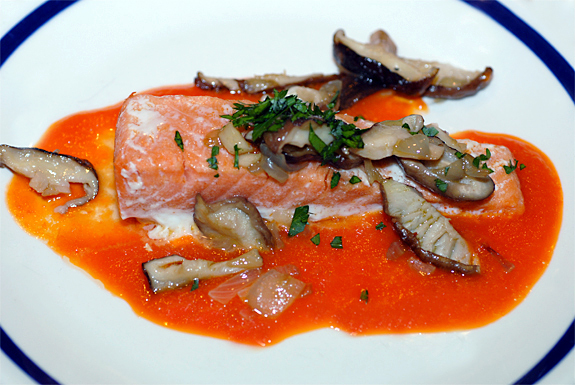 Celebrate Christmas with a pop of colour with this salmon dish that’s 100% yummy, and 0% guilt. Get recipe here. Cooking a turkey can be incredibly scary especially for those who aren’t very savvy in the kitchen. 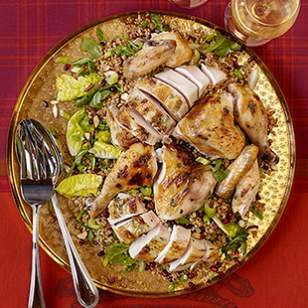 So if you’re a bit of a chicken, this recipe will save the day. 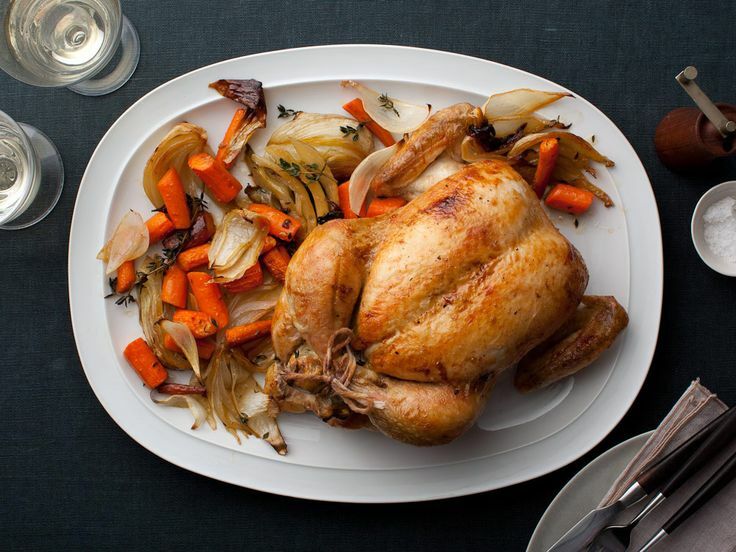 It still looks great on the table, and the herbs and veggies used add a depth of flavour to boring old roast chicken. The best bit about this recipe, besides the great flavour, is that you’re cooking both the main and the sides at the same time (hurray for less work!). Get recipe here. This requires a prep of 10 minutes, a pop into the oven, and you’re done! 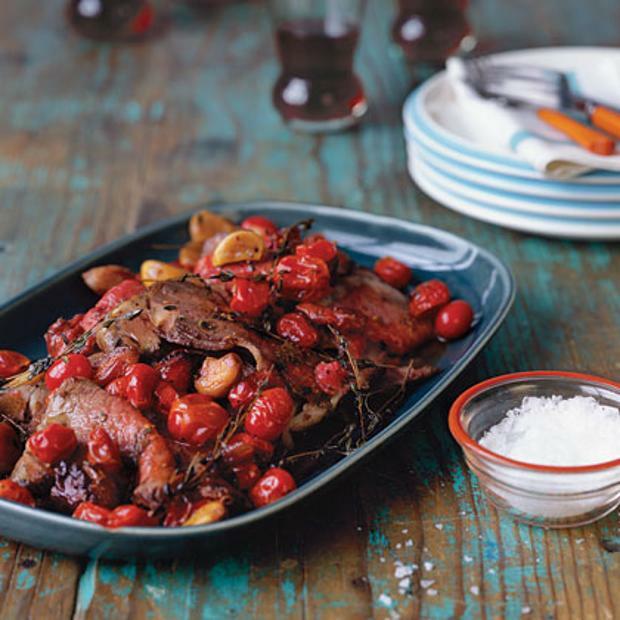 The thyme, garlic, and olive oil bring out the flavours of the beef, while the cherry / grape tomatoes become a delightful saucy complement to the beef once it’s roasted. Perfect Christmas meal. Recipe here. If the whole roast chicken recipe featured above was intimidating, how about trying out this one — which requires a whole chicken, but cut up. The pomegranate seeds add a sweet crunch to the dish while the load of veggies ensure you get your daily vitamin and fibre intake even in Christmas day! Get recipe here. 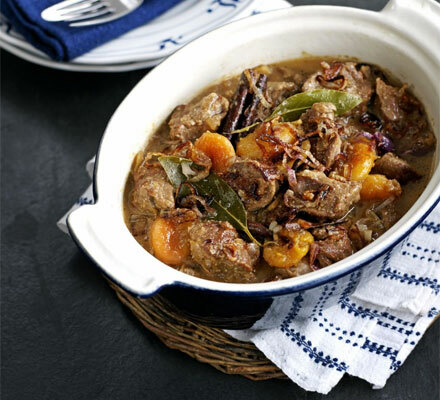 Stewed in a delightful concoction of spices (cinnamon, cardamon, saffron, coriander, bay leaves and more) until tender, the lamb is packed with flavour and can be made ahead and kept in the fridge / freezer for a fuss-free Christmas day. Get recipe here. 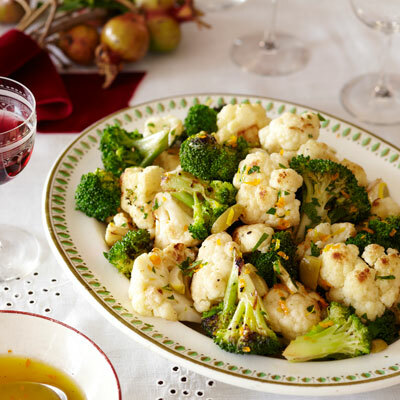 This recipe takes everyday veggies like broccoli and cauliflower, and dresses it up with orange, lemon, olives, for a flavoursome yet nutritious side. Get recipe here. 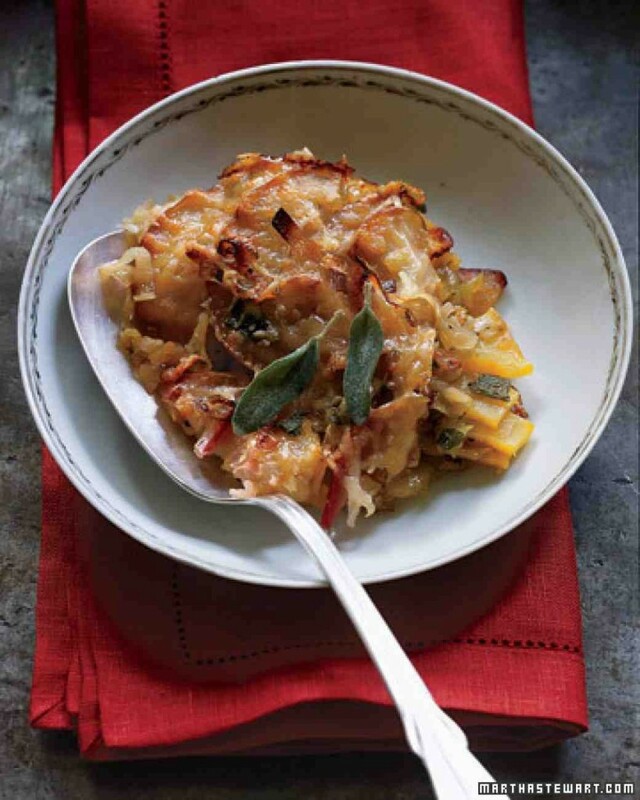 Butternut squash is very similar to pumpkin, so you can opt for pumpkin as it’s a cheaper option here in Malaysia. However, whichever you choose, this dish will be a hit thanks to the lovely matrimony of flavours and the bright orange colour will definitely dress up your dinner table! This can be made ahead and refridgerated for up to 24 hours. Recipe here. 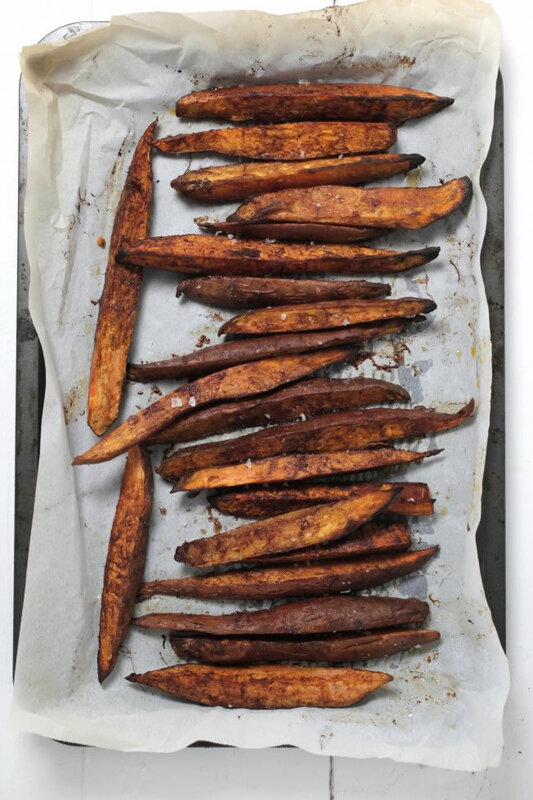 Add some low GI carbs to your meal with these lovely rustic sweet potatoes, flavoured with just two spices — cinnamon and sea salt. Recipe here. This recipe is fail-proof yet super fabulous when paired with any mains. 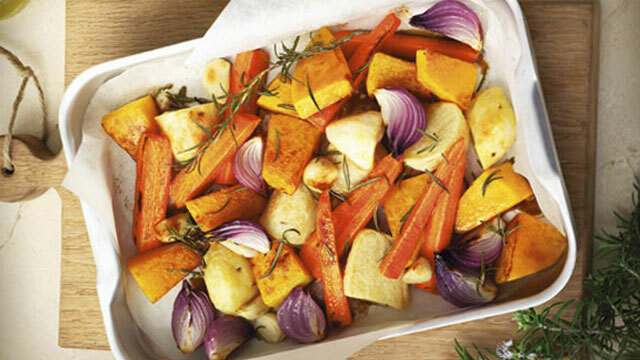 All you need is a selection of root vegetables, chopped up and tossed together with thyme, rosemary, olive oil, balsamic vinegar, salt and freshly ground black pepper. After 40 minutes in the oven, you’ll have a perfect accompaniment for your mains. Recipe here. 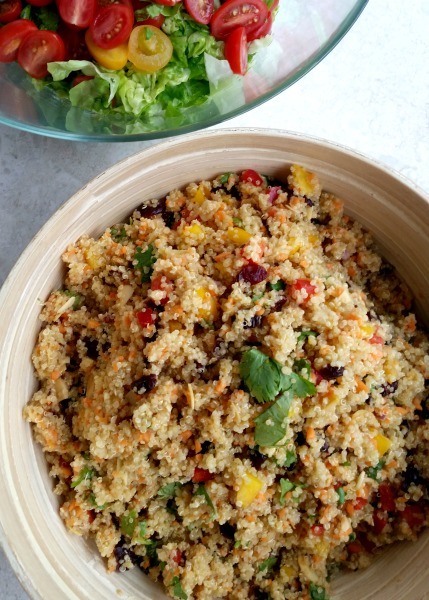 If you’re looking for something that’s zesty and not too filling, this quinoa side fits the bill. The chopped bell peppers, minced carrots and red onion gives it plenty of colour and crunch, while the lime juice and fresh cilantro helps bring out maximum flavour. Recipe here. Using whole wheat flour, lots of fresh cranberries and chunky apples, along with the quintessential Christmas spices –cinnamon and nutmeg, this guilt-free dessert will leave your entire home smelling absolutely wonderful while it’s in the oven. You can make these as gifts too! Recipe here. 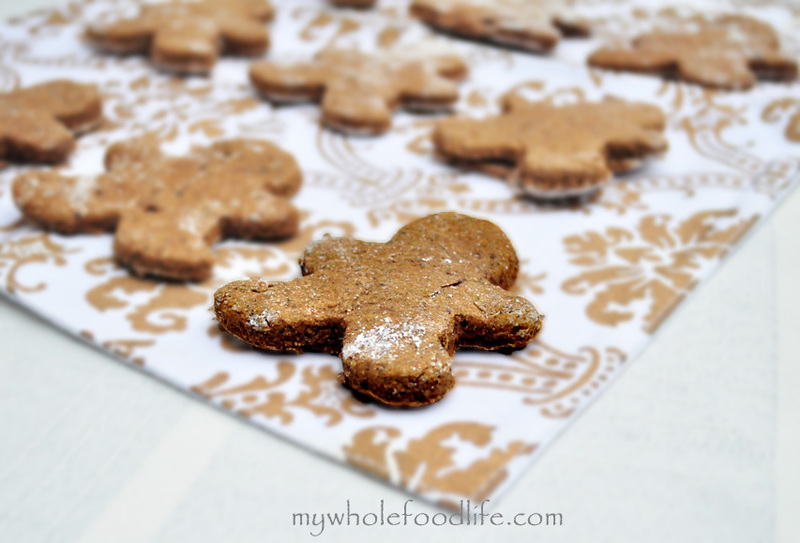 Christmas isn’t really Christmas without gingerbread men, and this recipe leaves out all the nasties (refined sugar) while leaving in the good cinnamony and gingery flavour. Get recipe here. 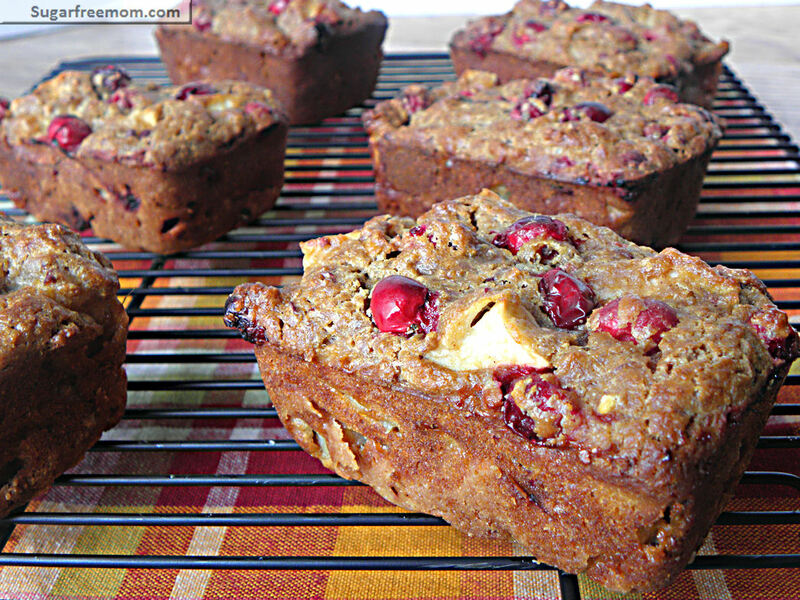 Fruit cakes are must have during Christmas, and this recipe is a great one that is dense and rich. However, it replaces the traditional white refined flour with almond meal, and does include any sugar at all. 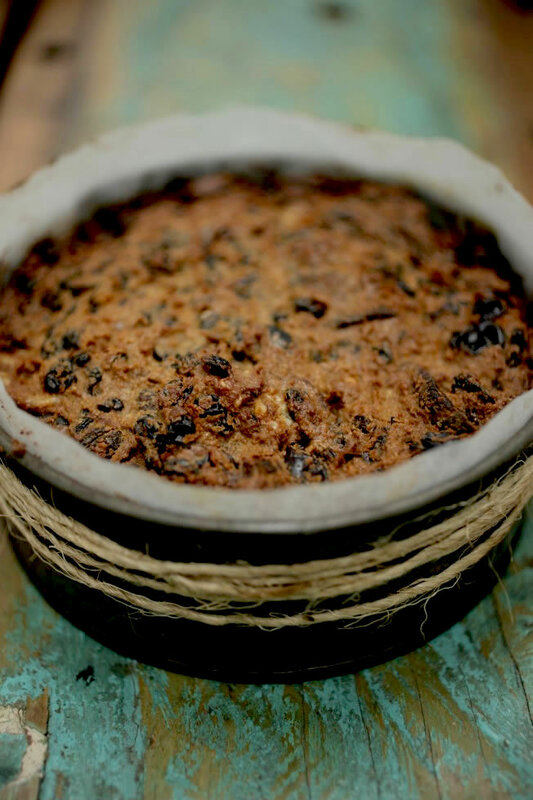 Get the recipe for a healthier Christmas fruit cake. Another Christmas classic that can’t be missed. 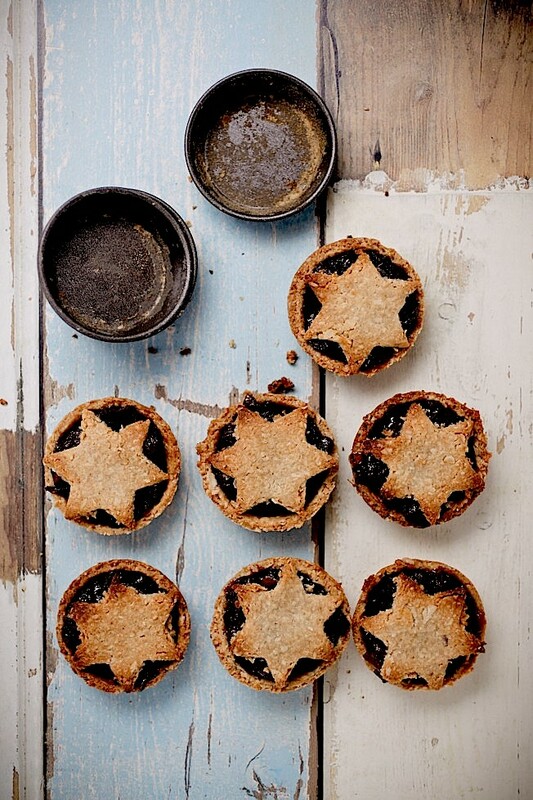 This recipe uses rolled oats, desiccated coconut and ground almond for a healthier (but still delicious) take on the traditional mince pies. Recipe here. This is a no-fuss no-guilt crumble recipe that uses almonds and pistachio nuts, along with dates and cinnamon to create the crumble topping. 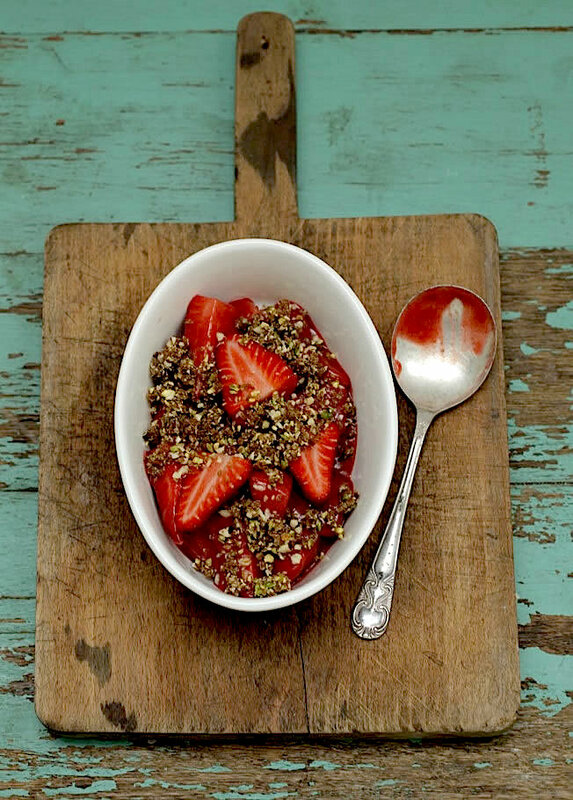 You’ll need a food processor though (if you want it to remain fuss-free). Recipe here.